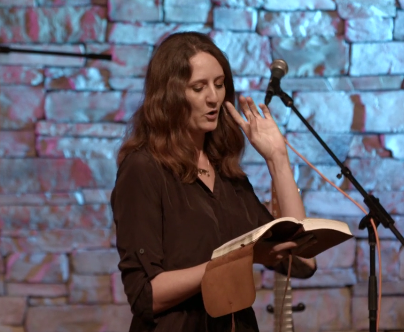 CC’s Sarah Yardley, preaching earlier this year. Those who are wondering about the Calvary Chapel Association’s announcement of a split from CC Costa Mesa and its pastor, Brian Brodersen, must understand that this has been coming for several years now. For instance, one of the many reasons that Calvary Chapel pastors were upset about the new direction taken by Brian Brodersen and others is the advent of women teachers in the pulpit. Traditionally CC doctrinal distinctives have held to the teaching from Paul: “I do not permit a woman to teach or to exercise authority over a man,” in 1 Timothy 1:12.